Are you looking for a structural solution to keep the public restrooms clean? 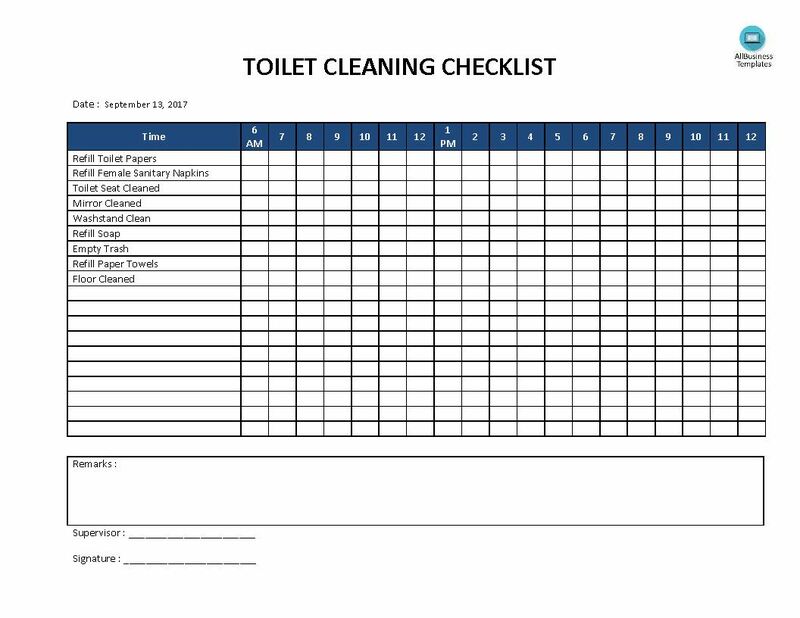 Download this free printable Toilet Cleaning Checklist template now and start delegating the tasks to your employees! We provide a template that will enable you to ensure that the public restroom or toilet is clean, which is very important. This toilet cleaning schedule template is available for free and easy to download as a structural solution. From taking down remarks on maintenance works and noting down the details regarding the timings and days on which specific parts would be cleaned, the top bathroom cleaning schedule template is a must have for all. You can use the attractive and much more useful best bathroom cleaning schedule templates by taking a printout as an accompaniment while cleaning and follow the previous notes and things to do with ease. Using our Templates guarantees you will save time, cost and efforts!